This was very helpful. I have a couple weak hives that I will be feeding through the winter. 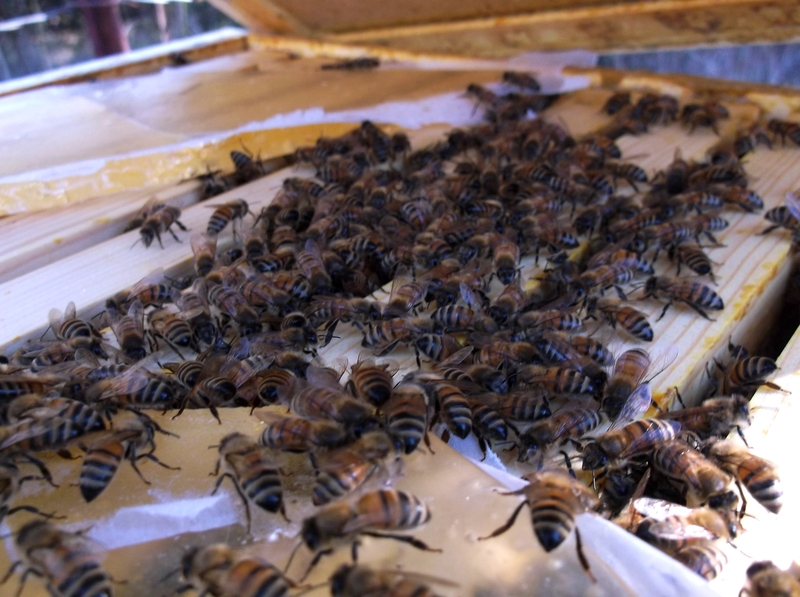 I really like the video as it helps to have a visual as a new beekeeper. Thanks! So glad to hear it Libby. Are you in the SC Kansas area as well? I remember a Libby from the last meeting who dug a stinger out of Chuck’s chin. lol. My goal in the near future is to focus on items that books and classes discuss but rarely show or explain in great detail. 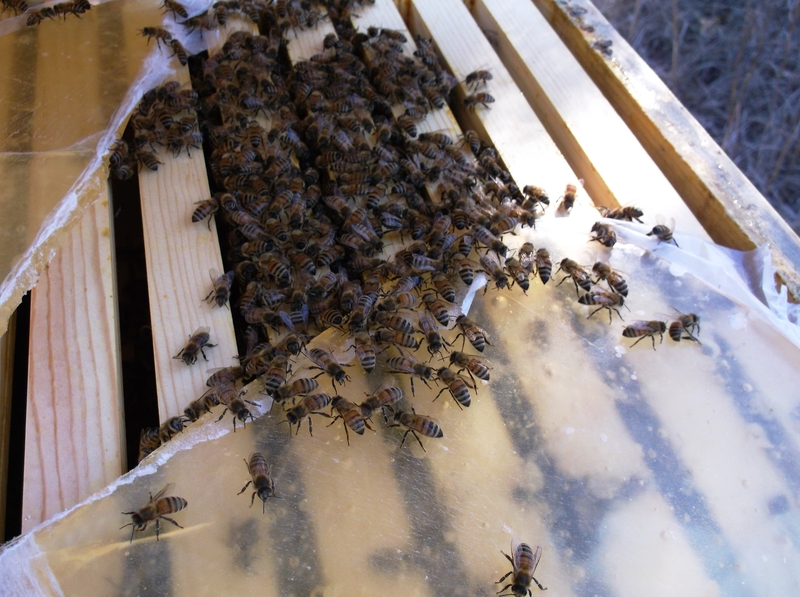 I feel that a blog serves as a great timeline as well for other beekeepers in the same vicinity. For instance, I pull honey fairly early, but that’s because I’ve received great advice on bloom times of unwanted sources such as smartweed and goldenrod. 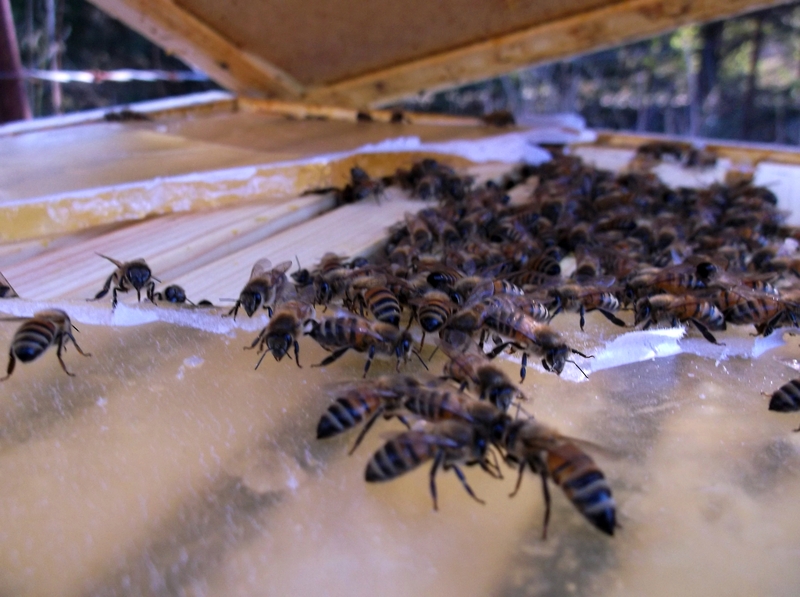 If you wait too long in my area, you may harvest more honey, but it won’t be as delicious if you allow the bees to work food sources that are less than desirable in the flavor department. That was me! In all fairness Chuck pulled a stinger out of my forehead about 20 minutes prior! Ha. I love the information about winter feeding. This is my first winter and have been feeding 2 parts sugar to 1 part water. I hold my breath every time I open the hives. They peek out while I speedily change their food which thrills me……who’d have thought this would be such an amazing experience. Keep blogging it’s very helpful! Thanks.